Madison’s 2015 New Artist of the Year Karen Wheelock burst into the local folk and americana scene in 2013, armed with a guitar and a ukulele. A Wisconsin farm girl from the small town of Delavan, Wheelock’s gentle heart and forthright nature are surprisingly disarming to even the most jaded audience. 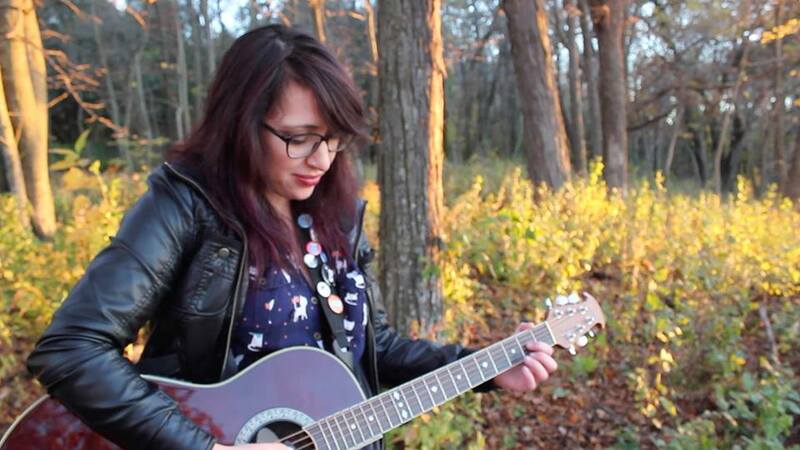 In her short time performing in Madison and surrounding areas, Wheelock has proven herself to be a force, who can hold her own at a rock show or benefit concert. Romantic at its core, Wheelock’s music has a sound all its own, but one could draw connections to A Fine Frenzy, Lisa Loeb, Cat Power with just a hint of the Moldy Peaches' spirit. Hidden within her songwriting is a deep love for the Foo Fighters and other hard rock bands. Wheelock's repertoire ranges from light-hearted ditties to deeply profound ballads; these are clearly the result of personal reflection, the stuff of all good art. Reminiscing on something that almost was, but will never be, this song pulls at your heart strings while getting stuck in your head. IMP Your song 'Take Me Back' has just been added to key station! IMP Your song 'Take Me Back' has just been added to they got the stuff station! IMP Your song 'Take Me Back' has just been added to Featured Songs station! IMP Congratulations! Your song 'Take Me Back' is now #25 on the Kayak Big 25! IMP Congratulations! Your song 'Take Me Back' is now #24 on the Kayak Big 25! IMP Your song 'Take Me Back' has just been added to Nathan's Picks station! IMP Your song 'Take Me Back' has just been added to This Just In station! IMP Your song 'Take Me Back' has just been added to Kayak Classics station!